Immerse Yourself in the Culture! Be a full-time student in good standing at Gresham High School or Reynolds High School and in their Japanese language program. Have the equivalent of two years of Japanese language studies. Be able to travel to Japan from approximately mid-June to mid-July. Be able to pay airfare approximately two months before departure. If you are interested in becoming an exchange student, please download the following forms. NOTE: The forms are Word documents. Completed applications are due by the end of February. 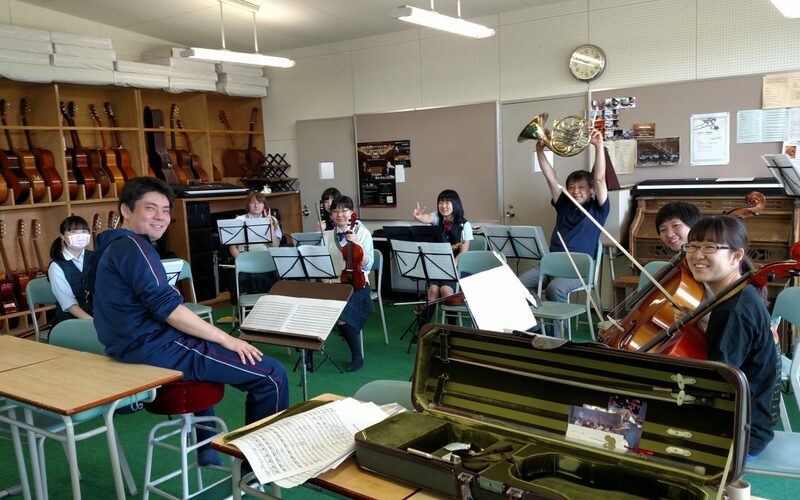 They may be handed in to your high school Japanese language teacher or submitted online to pbbarryb@gmail.com. Questions may also be directed to the same email address. Having a student at home who is studying Japanese. Willingness to share your home with an extra youngster who should be treated as a member of your family. Ability to offer a separate bed if not a separate bedroom. If you are interested in hosting a student from Ebetsu, please download the following application. Questions may be directed to pbbarryb@gmail.com. 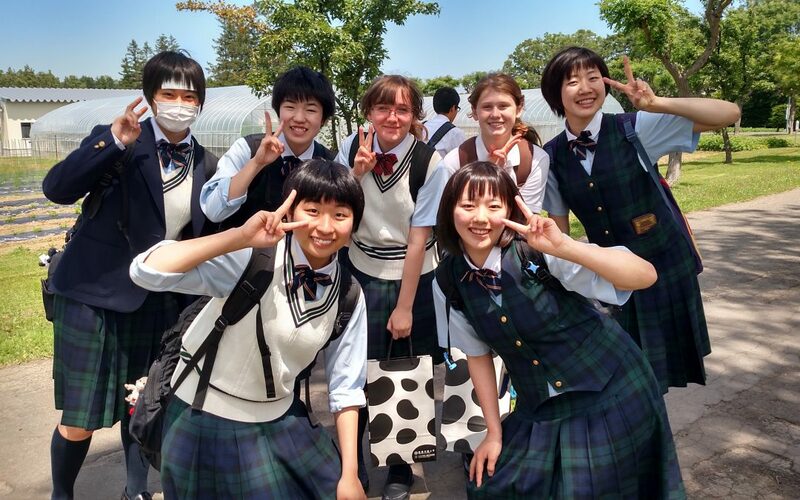 View the Student Exchange Gallery. One of our fabulous students, Ashley …. was in the Japanese language program at Reynolds, involved in being a host family and then was an exchange student through the Gresham – Ebetsu Sister City Association, and was one of our most active volunteers. She was able to go to Hokkaido University. 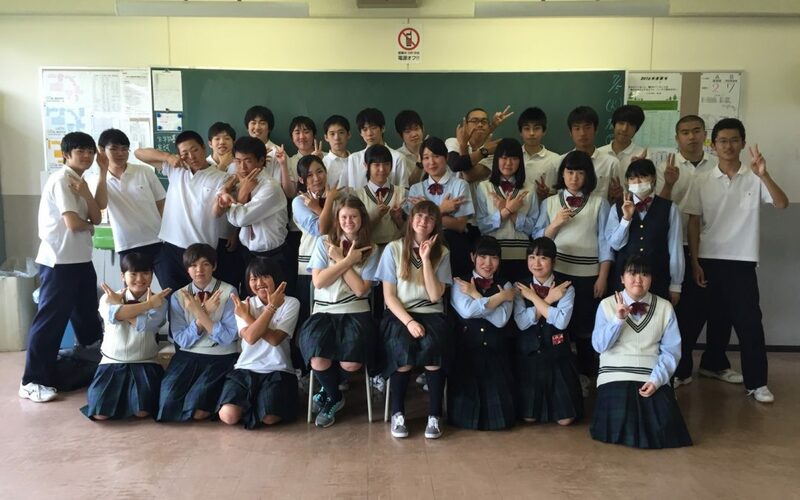 We’ve kept in touch and a representative from her school in Japan contacted me … she will visit Oregon in Oct. Warm greetings from Hokkaido University, Sapporo, Japan! My name is Rie Watanabe, a program coordinator at Hokkaido University, Japan. My job is to visit high schools and attend study abroad fairs around the globe in order to introduce and promote our bilingual Bachelor’s degree program named “Modern Japanese Studies Program.” I am going to go to Portland to participate in NACAC on Oct. 23rd & 24th. As a result, Tanith applied and was also accepted into Hokkaido University. She is now enrolled there. We look forward to updates about her progress. Thank you so much for choosing us to host Miyabi. It was a wonderful experience. I wanted to give some feedback. First, I think the gathering of all the host families was fabulous. We became a good resource for each other. All of us had schedule issues and it was so helpful to be able to pass the girls off to one another. It kept them safe and I think it helped broaden their experiences. Us Moms stayed on a constant group text which kept us all in the loop. I would so encourage this activity for future families. Second, all of you were great in taking the girls all over when our girls had finals, and we were working. It would have been ideal for our kids to not be so bombarded with homework and studying while they were here, but that is an issue out of all control, unless we get the board of education to accommodate us. I know that Miyabi came home from going with you very animated and excited. One more little recommendation for future hosts, down load google translate!! It was a god send the first few days. Miyabi was so tired and unsure of herself that communication was difficult. When I down loaded that, it was oh so much better and by the end of her stay we didn’t need it. 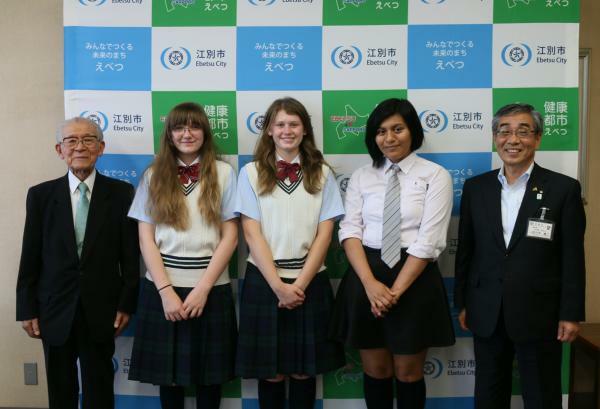 2017-10-07 – letter from parent of Ebetsu exchange student. My name is Makiko Numata. This is my first time to write to you. I am very happy that you came to Ebetsu City. My daughter Noa visited Gresham City as an exchange student in January 2015. I still appreciate for very kindness and hospitality the Staff members and host family (Fitzgeralds) gave to my daughter. I also visited Gresham City when the Japanese garden open ceremony held in August 2015 was held. I was much pleased with your warm-hearted hospitality in Gresham City. Gresham City is a very wonderful city and I realized that the children of Ebetsu City who had a home stay there experienced a good experience. Through this exchange program, I think that children feel about the importance of regional development as well as international sense. Our family accepted children Gresham City in 2014. What I noticed at this time was that this exchange program was exactly to nurture children in Gresham and Ebetsu. This exchange program is a really good program and I thank you as a parent. Please take care of yourself. I hope this letter finds you and the people of Gresham well and in good health. Snow has gathered on the nanakamado in Ebetsu, bringing us to the heart of the winter season. I would like to thank you from the bottom of my heart for inviting us to take part in the Gresham-Ebetsu Sister City 40th Anniversary celebrations, together etching out a path for our future. In addition, I would like to express my deepest gratitude to you and the citizens of Gresham for taking time out of your busy schedules to welcome us with such warm hospitality. Thanks to everyone who helped out, our schedule moved along very smoothly, and we enjoyed an extremely successful Visit. I especially am deeply impressed by Tsuru Island, the amount of effort put in by volunteers, the history behind its revitalization, and the place it holds for Gresham citizens. I and the entire Ebetsu Delegation were further moved by the tree planting at and establishing of Ebetsu Plaza. I was elated to have the opportunity to participate in the 40th Anniversary Celebration with and meet once again former Mayor Charles Becker and the various community members who have contributed to our Sister City relations. I further believe we were able to deepen mutual understanding through meeting face to face, taking time to discuss various topics, becoming aware of the situation in each of our cities, and discussing plans for future exchanges between us. With the advancement of new technology and the conveniences of the modern world, communication has brought us closer together, but I believe only through face-to-face interaction can real communication occur. I would once again like to thank you and the people of Gresham for everything you provided for us during our trip, and I pray for continued prosperity and happiness for you and the residents of Gresham.